Universal camera gun rail mounts. 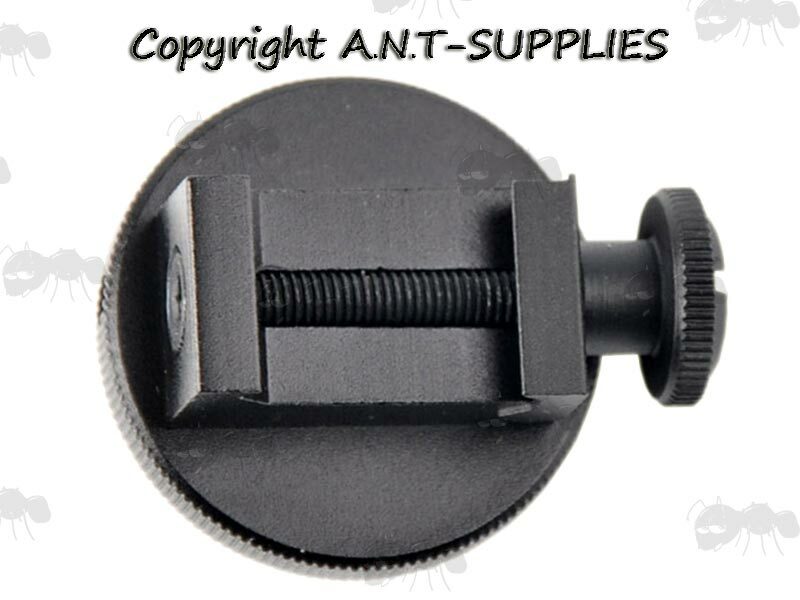 Universal photography thread fitting 1/4 inch (6.35mm) diameter, 20 threads per inch UNC. Found as standard on most consumer cameras. 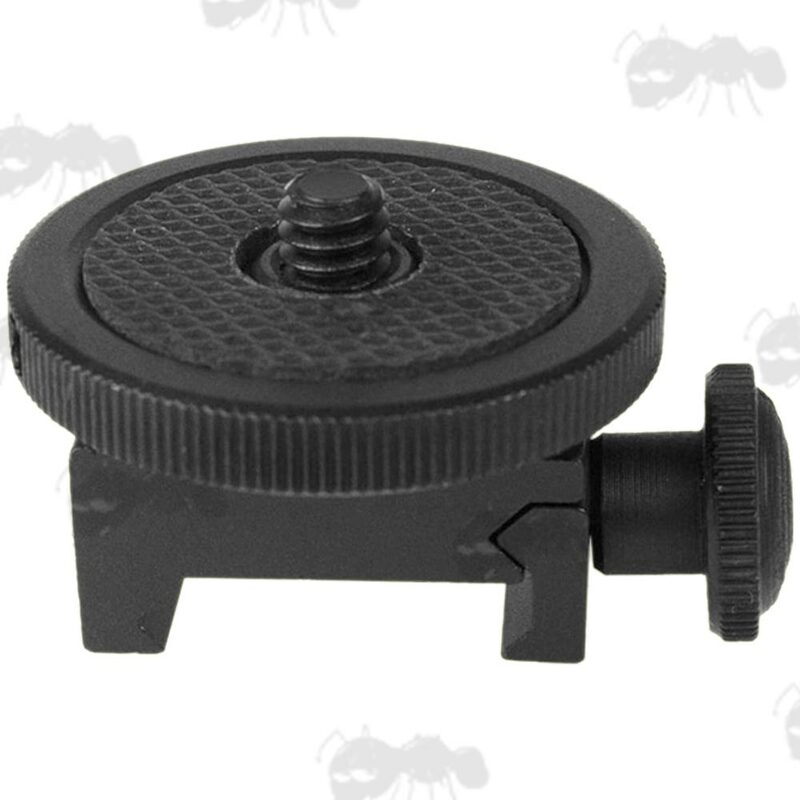 Black anodised metal adapter mount with rubber grip pad. Allows you to use your camera for recording training excersises, airsoft / paintball games or hunting sessions. Can be set to record first person shooters eye view or the shooter. Fits 20mm wide Weaver / Picatinny (MIL-STD-1913) rails. Quick and easy to fit, no tools required. Also available ~ Night sight / camera rail mount.